I fell into maternity work completely by accident. It wasn’t part of the plan. But after 12 years of the most inspiring and rewarding time of my life so far, I couldn’t be happier. I love my job. I look forward to every class, every course, every blog post. So how did I end up here? Way back in 2003 I got a call from a woman who was running a Pre-natal and Post-natal session at a local SureStart Centre, and she asked me if I could start teaching a Yoga Programme as part of the group activities. I kindly explained that I had no experience of teaching Pregnancy Yoga and suggested that she tried to find someone who specialised in this. But she was desperate. She had tried other tutors with no luck, and I was her last hope. She begged. She said I would be fine. And could I start tomorrow! I love helping people out, so I agreed to come along as a temporary solution until she found someone else. After 6 months, no-one else had come to take over. And to my surprise, I had discovered a real passion for working with pregnant and post-natal women. It hadn’t been on my agenda, but it was now becoming clear that this was what I wanted to do. So I did the training, started to specialise in Pregnancy and Post-Natal Yoga, and I haven’t looked back since. The SureStart sessions have long since ended. But my business has grown from strength to strength. Why is my work so inspiring? 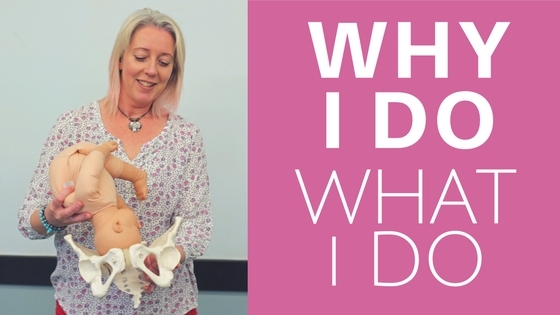 As I began to work more closely with the Mums in my classes, and especially reconnecting with them when they came back with their babies for the Massage Classes, the feedback I was getting just blew me away. There were so many stories about how amazing their births had been, how calm they had remained, how the positions and the breathwork had really helped. I began to realise that Yoga was an awesome tool for birth. “The best ante-natal classes I attended!”. I can’t wait to teach all these techniques every week to the Mums in my classes. They are genuinely surprised that birth can be calm, that it can be easy, that it can be quick. And the yoga is pretty good at getting rid of all the annoying, niggling, aches and pains of pregnancy too. I would love these techniques to be shared with more Mums, not just those who come to my classes. I want EVERY Mum to know that there are answers, there are solutions. That they CAN have the birth they want. That they CAN feel empowered, they CAN feel confident.